Chocolate Week is back: from October 15th - 21st celebrate all things choccie at events across the country, including talks, tastings and demonstrations. Now in its fourteenth year, the aim is to promote independent artisan chocolatiers and the companies who work in direct partnership with cocoa farmers, encouraging consumers to pay a fairer price for the product. 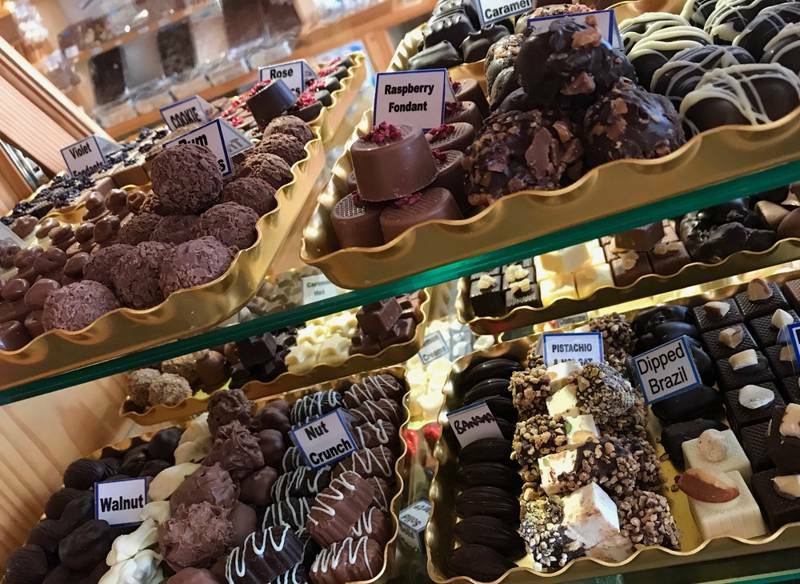 Our thoughts turn to Devon’s own Willy Wonka, and one of the West Country’s favourite chocolatiers, the renowned Ilfracombe Chocolate Emporium (Dawn French is a fan of its award-winning products). Its extensive assortment changes regularly, ranging from bars to handmade mixed boxes. Fancy some white chocolate? Try the Belgian offering with caramel, or giant buttons. Looking for a delicious treat for a child? Choose one of the heavenly chocolate animals. The team is always experimenting with new flavours – and they also have an excellent selection of traditional favourites such as ginger, violet and coffee crèmes. If you don’t live in the area, the shop will post goodies out. For anyone interested in learning about how chocolate is produced, you can hear an array of fascinating facts some choc-history in-store. For instance, did you know that it takes a year’s harvest from one cocoa tree to produce 1lb (450g) of cocoa? Or that the tree is only cultivated in West Africa, North & Central America, the Caribbean and some parts of Asia? Spend time wandering around their free admission museum, and even meet the six foot Chocolate man. Theobroma, the Latin name for the cacao bean tree says it all, translating as “food of the gods”. Ilfracombe Chocolate Emporium 6 High Street Ilfracombe EX34 9DF. More info here.